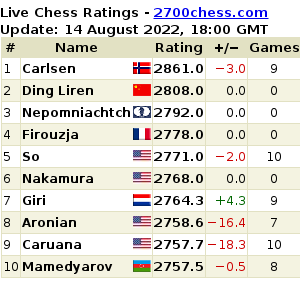 FIDE ratings are updated on the first of every month. FIDE listing of all Scotland registered players both rated and unrated is available here. Descending order of SCO rated players here.